These are my favorite images that I've taken. If you want to see similar images, either click through the link to an original gallery, or use the keywords to search. 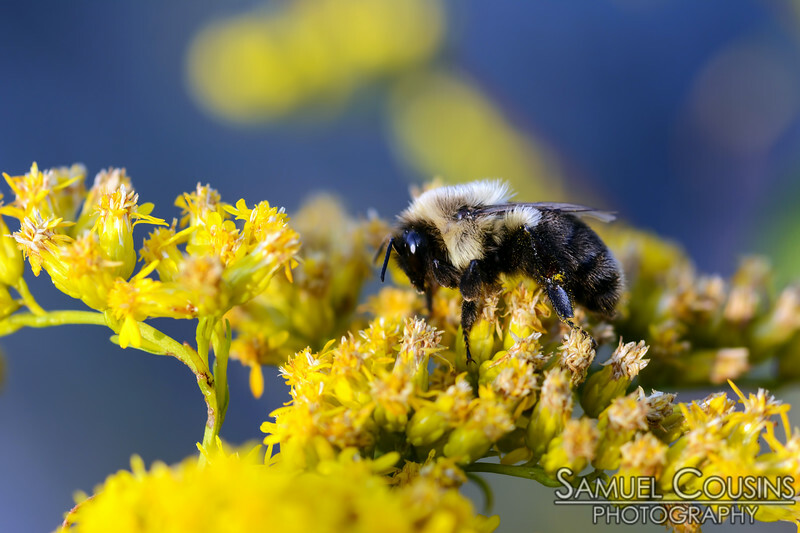 A macro of a bee climbing on goldenrod flowers.